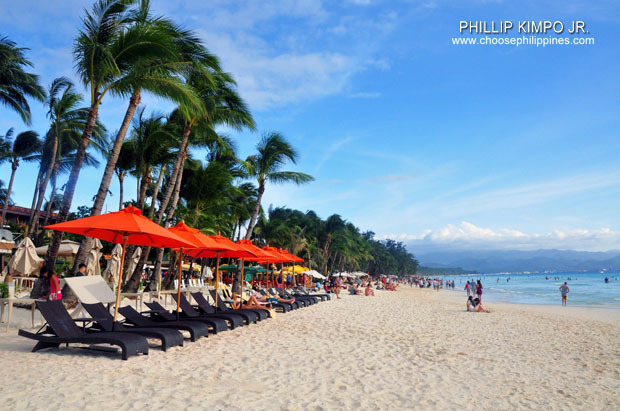 Samar For Summer: 7 Exciting Destinations For The Adventure Seekers - Choose Philippines. Find. Discover. Share. Know more about the eastern-most part of the Visayas where thrilling and, at the same time, enthralling activities await the adventure seekers. Together, let’s explore the gems found in the three provinces of Samar: Samar Eastern Samar, Northern Samar, and Samar. Located a few kilometers from the town of Gamay, Cabarasan, and Dao, this point at the east coast of Northern Samar could possibly be panorama out of our default computer desktops. The endless seas studded with limestone rock formations are surreal, perfect for taking stills. Located in Barangay Balagon and Barangay Pandol, respectively, in the town of Canavid in Eastern Samar are two refreshing waterfalls that run along Ulot River - the longest river in the province connecting two province - Eastern Samar and Samar. These waterfalls are only two out of a hundred charms that the island of Samar has to offer, that is why a visit to these two spots would probably make you want to explore other nearby destinations. In Northern Samar, we find an eternal summer-state-of-mind - Capul Island, a fifth class municipality in the province, is well-known for its lighthouse that guides marine vessels traversing the San Bernardino Strait, but more than the usual, this island springs with wonderful surprises. Immerse yourself from sun-up to sundown in Acapulco Beach, a grayish to white sand, that allows ‘more than enough’ space for outdoor exploration and leisure. Get your fair-share of an oh-so-satisfying journey in this craggy and quiet stretch of island in Eastern Samar. Divinubo Island is a favorite weekend getaway spot where locals and tourists find the right balance between pulse-quickening adventures and tranquil afternoons. Among the highlights of Borongan, Eastern Samar is Kansuriyaw Falls - majestic, grand, and perfect for the brash adventurer, a short visit to its frigid waters might serve to be the ultimate healing salve for the weary souls. A panorama straight out of fairytale - that’s how locals and tourists describe Biri Rock Formation in the province of Northern Samar. The seasoned-rocks perfectly still on raging seas prove to be one of the best places for some rest and relaxation. Do you know other places located in Samar Island? Let us know in the comments below and don’t forget to use #ChoosePhilippines in your adventure posts.